Sensory learning is a growing trend in early education. For a few years now, “sensory” has a been buzzword that many educators have employed. We talk about sensory input, sensory needs, and sensory play. But why is sensory learning an important pursuit? Why do we especially focus on this learning opportunity in a child’s early years? Sensory learning encompasses a wide variety of experiences and opportunities. It can be as simple as a container of rice, beans, or water. Additionally, it also includes access to musical instruments or modeling clay. But in every case, it engages all of the child’s senses and gives feedback which shapes a child’s understanding of their world. Here are some key reasons we emphasize sensory input for our toddlers. One vital aspect of sensory learning is its accessibility. Regardless of age, gender, ability, or learning style, every child can participate in the sandbox or the water table. This type of sensory learning is an equalizer, while still allowing for a wide variety of opinions, perspectives, and methods of play. Socially, sensory learning is an opportunity for children with different interests and play styles to encounter and learn from one another. Long before the current wave of interest, sensory play was a tool frequently used in the special needs community. The feelings of pressure inside a hammock or of rice slipping between fingers were calming to children who struggled with anxiety and poor impulse control. We’ve since discovered that all children can benefit from these calming activities. Toddlerhood can be a tumultuous time, full of new adventures and big feelings. As children learn through their many senses, they also learn what makes them feel peaceful and less anxious. Over time, they begin to choose those activities when they feel out of control or need help calming down. 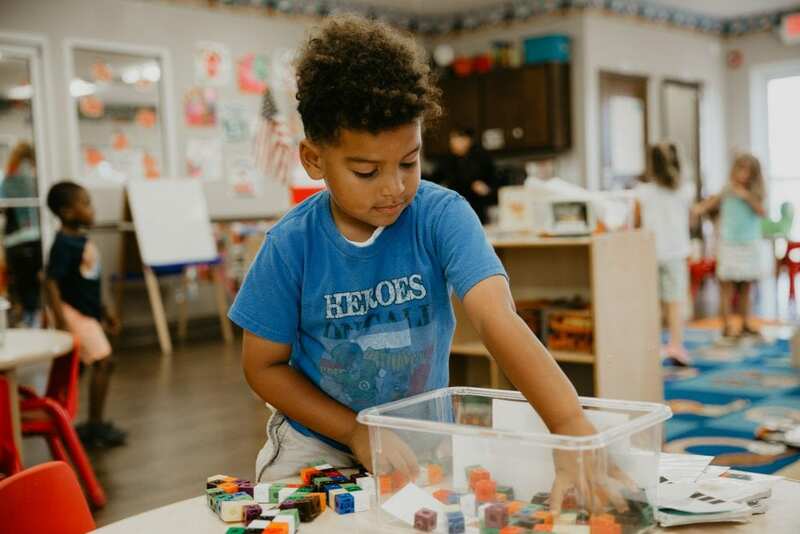 Through experiencing the benefits of sensory learning, small children can develop the tools they need to deal with larger stressors as they come. Recent brain research shows that in the first few years of life, more than 1 million new neural connections are formed every second. That is an astounding rate of brain growth. Sensory learning and other child-guided activities allow toddlers access to a wide variety of input at once. For example, putting together the sound, feel, taste, and the sight of playing with ice and water gives the child’s brain a vast amount of information to connect and learn. Before it’s time to tie shoes or hold a pencil, a child’s body is already working to strengthen all the muscles required to be successful. Toddlers are at a prime age to work on these skills, and sensory play gives them the opportunity to practice in a low-stress and self-directed setting. Scooping, rolling, dropping, pinching, and squishing various materials feels like great fun to a toddler. At the same time, it provides the exact exercise their little muscles need. The senses are a gateway to every other sort of learning a small child needs. Ultimately, sensory learning is a scientific process. Toddlers collect data, synthesize it, and draw conclusions. Through this process, they develop abstract thinking, explore cause and effect, and learn to answer their own questions. Sensory learning encourages a strong sense of self. It provides exposure to rich language and encourages vocabulary growth. It includes movement and creative expression. From all that science has shown us about the brains of young children, it is clear that an early childhood education that does not include this type of learning is incomplete.